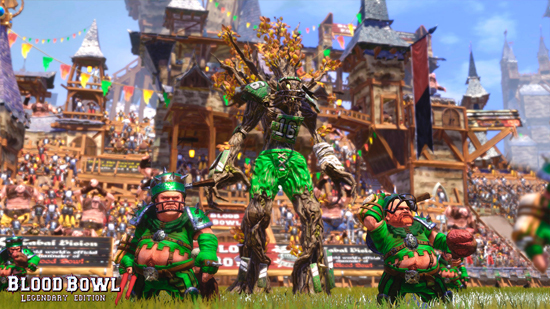 Entering the fray, the sly Goblins and their entire arsenal of Secret Weapons, the Halflings and their Treemen always keen on throwing their teammates over the top for a desperate touchdown, or the Amazons and their fearless and versatile style of play. 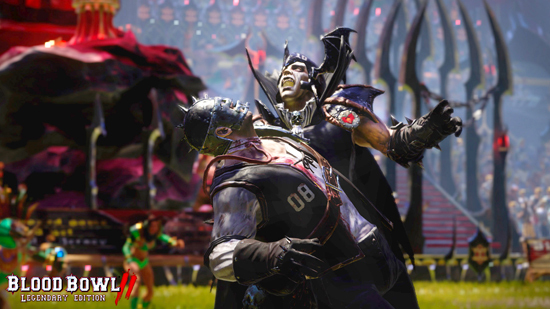 The Legendary Edition also brings the Vampire teams and their chilling, blood-lusting Lords, the powerful, massive and yet occasionally unreliable Ogres in addition to the athletic Elven Union and the creepy Underworld Denizens. 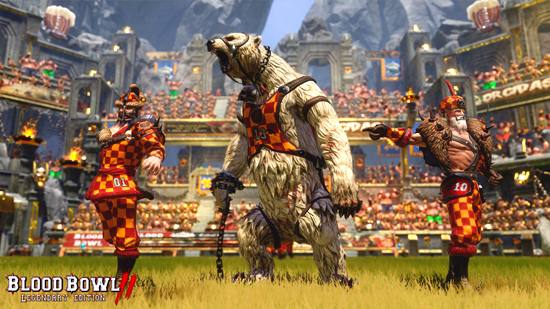 To Nuffle’s delight, a brand new team has also formed after it was rumored that their Ice Queen became enamoured of a Blood Bowl player: the Kislev Circus, with their great acrobatics abilities and their ferocious Tame Bears! 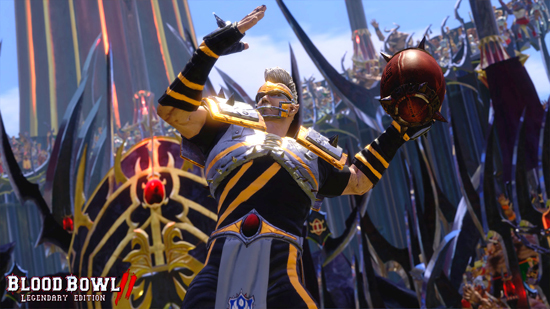 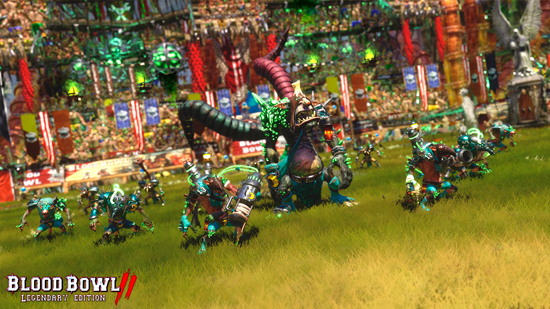 Highly anticipated by the fans and the passionate community, the Legendary Edition will not just offer all the official races from the Blood Bowl board game, but also all the Star Players, a new Khemri stadium, even more wicked matches with the All-Star teams and the Mixed Teams, new game modes as well as many new tools and options enriching an already deep multiplayer experience, and much more that we will be detailing the coming weeks! 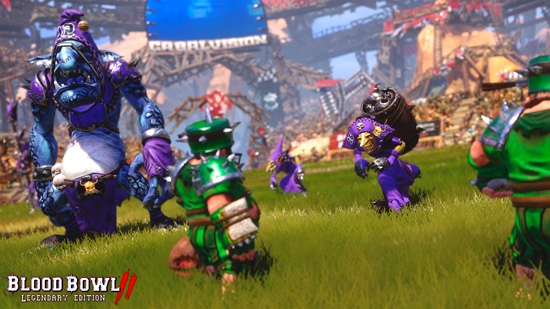 Blood Bowl 2, the sequel to the video game adaptation of Games Workshop’s classic tabletop game combining American football with the Warhammer fantasy world, has already drawn in hundreds of thousands players on PC and consoles since its release. 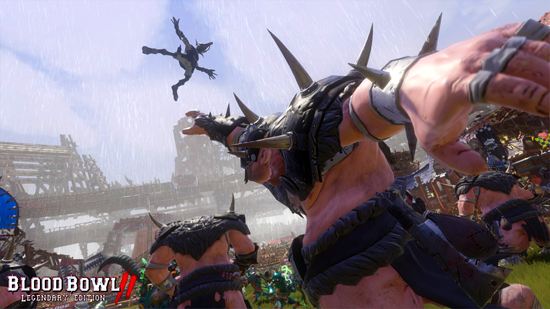 In 2017, Blood Bowl 2: Legendary Edition will offer loads of new content: new races, new game modes as well as many new tools and options enriching an already deep multiplayer experience. 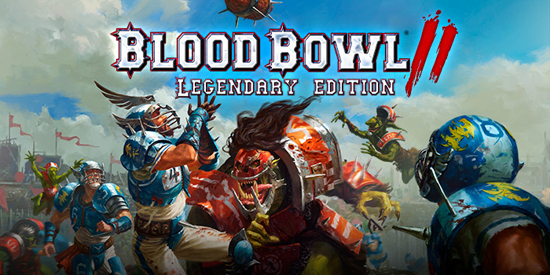 Blood Bowl 2 Legendary Edition will be available as a stand-alone game for newcomers, and as an affordable extension for all Blood Bowl 2 players. 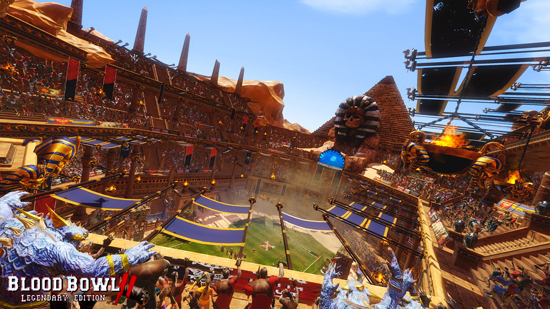 - All-Star Players and Mixed teams!